We moved the installation from GitHub to our website. Now you can install plugins without leaving the CMS and keep up with your workflow. You can also find all the plugins listed at our Marketplace directory here: market.impresspages.org. The source code of plugins can be found at our GitHub directory: github.com/impresspages-plugins. GitHub also stores more ImpressPages plugins that are still under development. Lend us a hand and we will make them in no time! Update with just one button click! No backward compatibility issues. All your code should work as before. We promise to keep easy updates and full compatibility for a long time in the future. We know that you're an awesome dev so why not show it to the whole world? Contribute plugins to our Plugin Market, earn money and claim all the bragging rights. 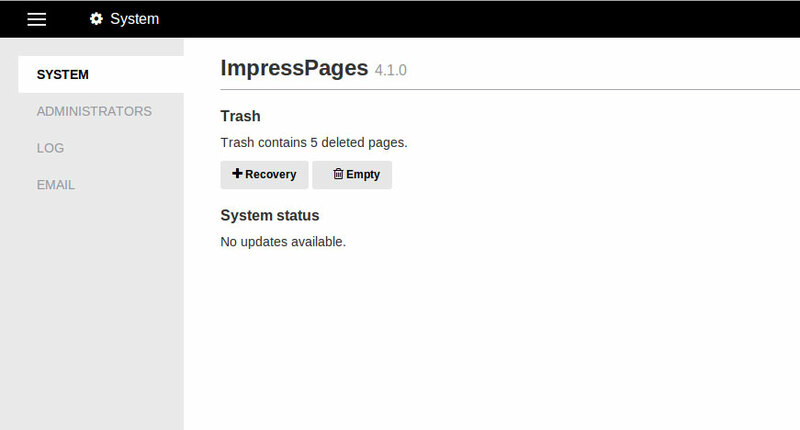 ImpressPages 4.1 comes with fixed TinyMCE editor styles (see the issue on GitHub). 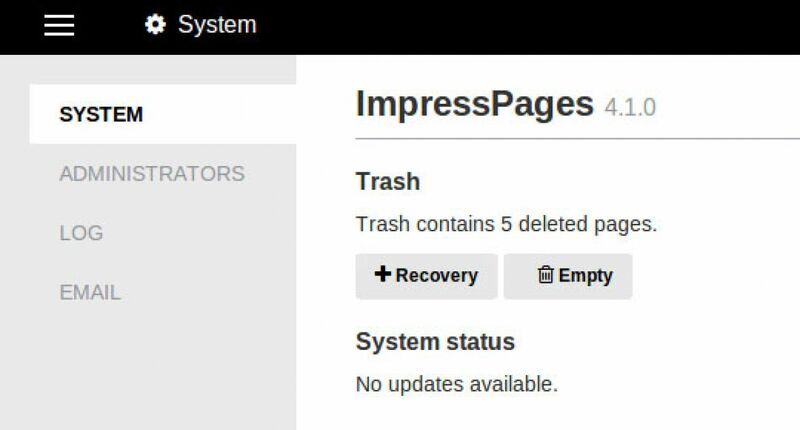 Big thanks goes to gergo85 from GitHub who created a deleted page recovery option for ImpressPages.